DestinationAdriatic - simple, fast and secure excursion sales to all parts of the Croatia - regular excursions, short excursions, theme excursions...! BIG GAME FISHING	We offer you an ideal solution if you want to get the maximum out of your vacation and to enjoy the true pleasure of the sea - big game fishing. CANOE SAFARI	Forest, mountains and river make together unforgetable combination and experience.Excursion rafting on Kupa is full of surprises and entertainment,and at the same time very safe for all participants! FISH PICNIC	Magnificent sailor excursion for holiday.We will go by boat between islands and in one bay,along with swimming in crystal clear sea,enjoy in freshly prepared fish and drink included in price. ISTRATOUR – BY MEDIEVAL ISTRIAN PATHS	Departure to Grožnjan, typical Istrian small town, town with rich history and prosperous future. After “Town of Artists” we go to Motovun. After Grožnjan and Motovun we go to Lim canal for shellfish sampling which are breeding there. KRK TOUR - SURROUNDED BY HISTORY OF FIRST CROATIAN ALPHABET	Drive in comfotable bus over Krk bridge,whose original and brave solution got worldwide acknowledgement. 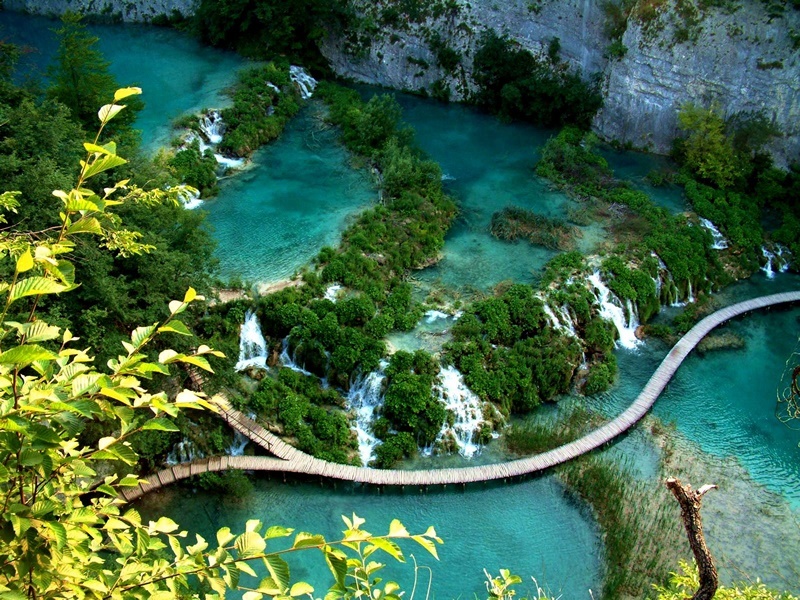 NATIONAL PARK PLITVICE LAKES - SURROUNDED BY BEAUTY	Plitvice Lakes are located on the territory of 294,82 km². Plitvice with its beauty attracts a large number of guests. OPATIJA - MOŠĆENICE - LABIN – SECRETS OF KVARNER	This excursion is for all who love and appreciate history and tradition. We will find out all information about virgin olive oil technological production. We will try quality wine and brandy. POSTOJNA AND LIPICA	Amazing net of tunnels,passages,galleries and halls together with the easy access are main reasons why Postojna Cave is most visited and most famous cave in Europe. SEA WALK	What is the best way to see the heart of Istria,its beauties and at the same time enjoy in crystal clear water of North Adriatic?There are many ways,and we recommend sea tour of Poreč-Rovinj on an old boat. SPORTS FISHING	If you want to get the maximum from your holiday and experience true pleasure on the sea we offer you ideal solution-fishing excursion. SPORTS FISHING ( P )	If you want to get the maximum from your holiday and experience true pleasure on the sea we offer you ideal solution-fishing excursion. VENICE	Boat drive lasts for about 2 hours and 15 minutes to one of the most beautiful and most romantic town –Venice in whose beauty you can ensure only if you visit it. 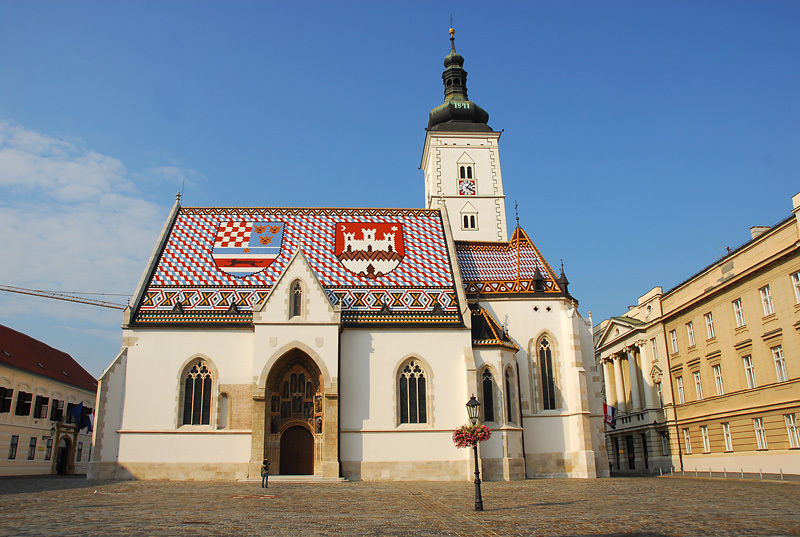 ZAGREB - GLORY OF CROATIAN CAPITAL	By comfortable drive through Gorski Kotar and Karlovac we arrive in Zagreb,capital of Croatia-old middle European town developed from two Medieval settlements which for centuries developed on neighbour hills. BLUE - GREEN ISTRIA – ROVINJ - MOTOVUN	We will go to to town Rovinj, former fisherman place and today touist place. Motovun, town-monument, old Istrian acropolis small town situated on the top of 277m high hill. OBSERVATORY VIŠNJAN	bservatory Višnjan is situated in the middle of small Istrian town Višnjan. Sightseeing of the stars on the clear sky above Istra thrills even the most demanding visitors and it reminds us how small we are comparing to the endless expanse of the universe. PIĆAN-GASTRONOMY ODYSSEY	Istria is famous for great gastronomy. We will visit family house hold in Pićani. We will step into unforggetable wine and culinary odyssey of family Baćac which we will experience with all our senses. 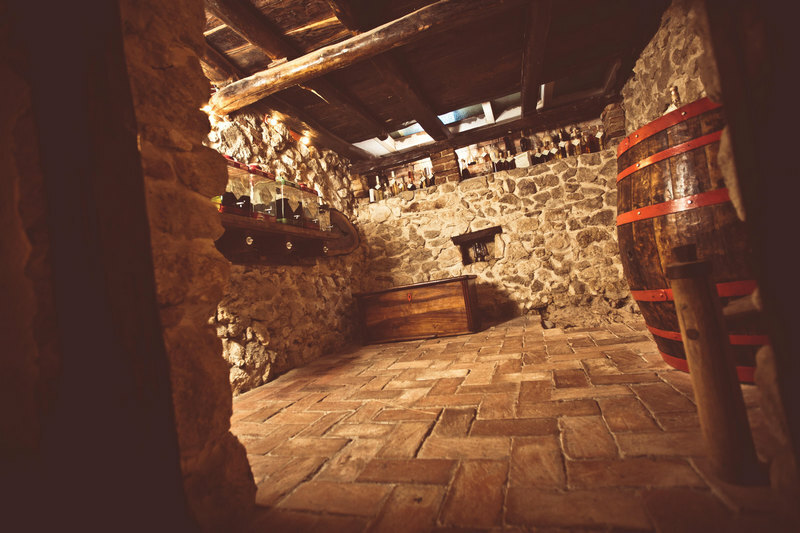 PRESERVED BEAUTIES OF HISTORY - GROŽNJAN & MOTOVUN	Grožnjan is one of typical Istrian town’s.We will tour along Grožnjan’s streets and enjoy in beauties of preserved art of old builders. After Grožnjan we continue our trip towards Motovun. Motovun is unique monument of architecture on open. ISTRIAN CUISINE COURSE - ISTRIAN CULINARY ADVENTURE	We invite you to fulfil your holiday in Istria with Istrian cooking course.We will meet with small secrets of Istrian cuisine. Regardless culinary experience, we have place for everybody. ROADS OF OLIVE OIL - ALLURED WITH OLIVE SECRET	Richness of Istrian peninsula is based on olive production,rich tradition for more than 2000 years.The drop of olive oil is a drop of health.The legend of healing abilities of olive oil dates far from history. STORY ABOUT TRUFFLES - TRUFFLE SEARCH	Gourmets agree only on one-the truffle is the top of gastronomy.It is unusual,misterious and under ground hidden tuber. WINE ROADS - DIONYSIUS JOYS OF ISTRIA	Old saying is:“A day without wine is like a day without sun!“. Wines are part of rich ethnological Istrain history.This adventurous excursion is for wine lovers in search for new tastes for their palates. MISTIC ISTRIA – ON THE WAVES OF HISTORY	On Istrian peninsula, three European civilisations have mixed through history-Roman,Slavic and German.All European history has stormed through Istria.Here you can touch the history with your hands,feel its scent and see its traces. NATIONAL PARK PLITVICE LAKES - SURROUNDED BY BEAUTY	Thanks to the unique beauty and rich natural fauna, this place has been declared as a park since 1949. And since 1979. by the decision of UNESCO, Plitvice Lakes were entered in the list of world heritage monuments of nature. RIJEKA-TRSATSKA GRADINA-KASTAV	After guided sightseeing and a break in centre of Rijeka we countinue the trip to Trsat where we will visit Trsat’s sanctuary and monastery as well as Trsat’s Gradina which dominates over the town in Rječina. STABLE LIPICA	Visit the oldest stable of beautiful Lipizzaners existing for more than 400 years and it charishes the breeding and training tradition of Lipizzaners. TRST-S.GIUSTO-MIRAMARE	Harbour town with a long shopping tradition has always been transit centre and the centre where different cultures meet,national and religious guidelines. DUBROVNIK – TOWN MUSEUM	The magic of Dubrovnik is known widely in the world.Dubrovnik is entered on UNESCO's world heritage list. NATIONAL PARK KRKA AND TOWN ŠIBENIK -IN KINGDOM OF GREENERY	Krka has become 7th and the youngest Croatian National park in year 1985.It spreads on 111 km and is on river Krka which flows in Adriatic sea.After Krka we go to Šibenik-town museum. NATIONAL PARK PLITVICE LAKES - SURROUNDED BY BEAUTY	Plitvice Lakes are located on the territory of 294,82 km². The park includes 16 major lakes with water colored jewels connected with 92 cascades and waterfalls that have appeared because of sedimentation of travertine 40 000 years ago. SPLIT & TROGIR - DALMATIAN DIPTYCH	Old Roman town Split developed from Diocletian’s palace which emperor Diocletian built 1700 years ago.After Split we go to Trogir.Many poets have tried to describe in words their fascination with historical town Trogir. CAVES IN CEROVAC	Cerovačke caves are one of the biggest findings of cave bears in Croatia. Also, fossil bones of a men and bronze axe were found. That men bone used to belong to so called “cave bears hunter” from upper Pleistocene. JEEP SAFARI ON VELEBIT	This Off Road Adventure starts at Maslenički most by getting on Land Rover Defenders.During this excursion you will have a chance to get to know Velebit or Velebit’s massif which is the longest , but according to sea level 4th mountain in Croatia. KORNATI ARCHIPELAGO - THE PEARL OF ADRIATIC	Spend unforgettable day on the biggest archipelago of Adriatic sea.On territory of National park Kornati there are more than 100 islands and small islands which with its sea surface spreads on 224 km 2 of area. NATIONAL PARK KRKA AND TOWN ŠIBENIK-IN KINGDOM OF GREENERY	Krka has become 7th and the youngest Croatian National park in year 1985.It spreads on 111 km and is on river Krka which flows in Adriatic sea.After Krka we go to Šibenik-town museum. TOWNS TROGIR AND SPLIT	Trogir was founded by the Greeks. 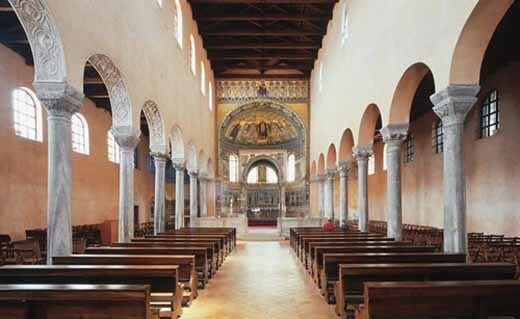 Its old part, preserved till today, consists of Renaissance and Gothic buildings, built in period from 13-15th century. The excursion continues to town Split whose sights have 1700 years old history. 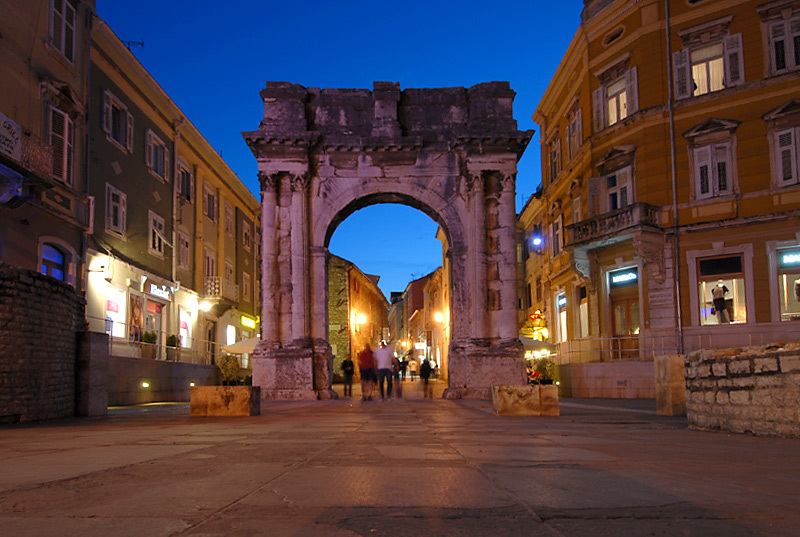 SIGHTSEEING ZADAR	This is a city with three thousand years of history, and therefore has a rich cultural and historical heritage. The old town is situated on a sheltered peninsula around a natural harbor. ČILIPI FOLKLOR	Join us in visit to village Čilipi, where traditional folk dance is held every Sunday. ISLAND CRUISING – DUBROVNIK'S ARCHIPELAGO	Just as the streets of Dubrovnik should be seen by walk along them, and not from the boat, in the same way the islands of Dubrovnik’s region should be seen sailing on the sea. ISLAND KORČULA AND PELJEŠAC- GREEN ISLAND CHARM	Marco Polo is whole world heritage. Other explorers before him changed world geography- Marco Polo changed the world.. and Korčula is his birth town! KONAVLE - WINE AND VINEYARDS	Good and quality wine with its potability, colour and bouquet is real pleasure for eyes,palate and soul. And drinking it with delicious home made specialities is a real pleasure. On our Konavolski “wine road” you will experience right that. MONTENEGRO BLUE	Surrounded by high mountain tops, facing the sea of Boka Kotorska in shape or Norway-one of the most beautiful places in Mediterranean. It passes through Risan and Perast to Kotor. MOSTAR– BOSNIA AND HERCEGOVINA'S GATE	Mostar is town of poetry, town of stone and sleepy streets. The town where the traveller from the north feels first Mediterranean air combined with the smell of citrus and sea, and the traveller from the south meets with the first traces of continent. 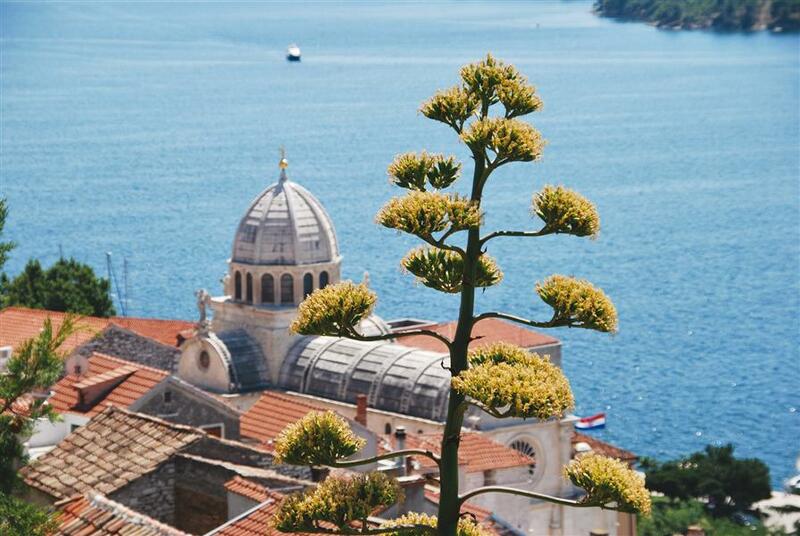 DUBROVNIK – CITY TOUR	Would you like to see the main sights in Dubrovnik? This unique excursion offers the chance to explore fantastic architecture and history of this famous town. GAME OF THRONES WALKING TOUR	Ready to visit all of the legendary filming locations from Game of Thrones? Reserve your spot on this excursion and join us! SRĐ HILL	Srđ hill rises above Dubrovnik from its north side. Take photo of unforgetable sights which you will bring home as a souvenir. TRSTENO – ARBORETUM PARK	We will visit Trsteno and park Arboretum, one of the oldest examples of garden architecture in Croatia.Arboretum is over 500 years old and declaread as one of the most beautiful gardens in Europe with more than 300 species of exotic trees and plants. CULINARY WORKSHOPS OF TRADITIONAL MEALS FROM MEĐIMURJE	Culinary workshops of traditional Međimurje dishes at the Međimurski dvori restaurant.Demonstration of making "Zlevanke from Međimurje" . "A meal we have cooked for ourselves, we have to get together and eat ..."
DEAR FARM	Not far from Terme Sveti Martin, on picturesque hills there is Dear Farm in Jurovčak. Fall in love with domesticated dears, mouflon and wild boars that will patiently wait for you to "snap" the perfect selfie or a family photo. SMALL SCHOOL FOR SOMELYERS	At the "Small School for Sommelier" course, you will learn the basics knowledge of sommelier; which glass to choose for wine, wine characteristics, how to open and serve wine, how to hold a bottle, about corks for for bottles. 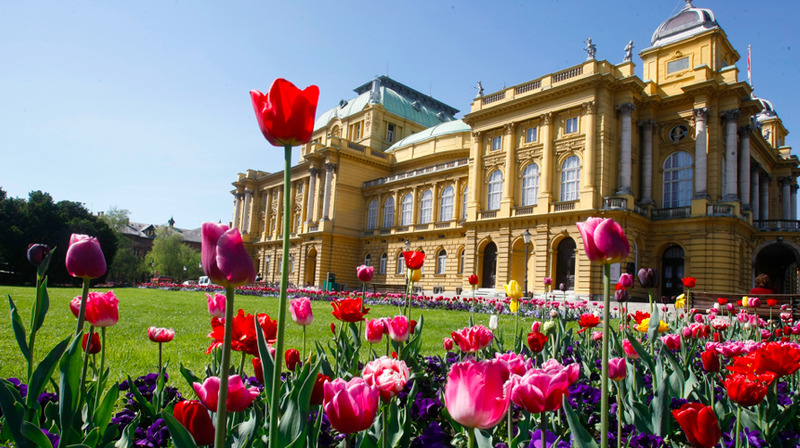 EXCURSIONS FROM ZAGREBYou're in Zagreb? Choose one of attractive excursion and delight friends and business partners. 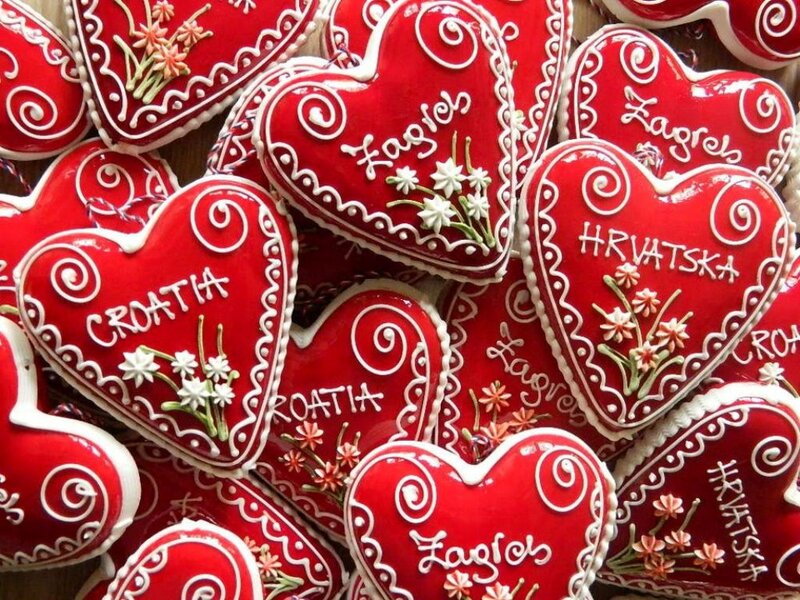 4-HOURS EXCURSIONS FROM ZAGREBMeet the Croatian capital through short 4-hours excursions. 4 - HOUR EXCURSIONSShort but fulfilled excursions from Istria which will excite everybody. THEME EXCURSIONSGrape harvest, olive picking, truffle search- choose active excursion. SAMPLINGExcursion where you can enjoy in intoxicating fragrances and tastes. ROVINJExcursions where you can visit this beautiful and romantic town. NEW IN OFFER!Excursion in Postojna and Lipica. The traveler has the right to submit a complaint due to the unfulfilled agreed upon service. The traveler is obligated to issue a written complaint to ATLANTIS within 8 days after the finalization of the trip. Complaints issued after the deadline of 8 days will not be taken into consideration. We emphasize that it is in the best interest of the traveler to perform in good will and to show good will in solving the complaint during the trip and to submit his written complaint to the service provider on the spot (front desk, transport operator, caterer or travel agency in the destination) and to seek a written confirmation from the service provider that they received the complaint. 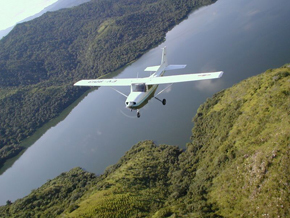 Every traveler – contract carrier, issues a complaint individually. ATLANTIS will not take group complaints into consideration. ATLANTIS is obligated to issue a written solution for the complaint within 15 days after receiving the complaint and this is to be done in the way the complaint was received (e-mail, mail or personal deliver where it will be responded to through a written package with a return receipt). ATLANTIS will solve only those complaints where the traveler submits evidence that he has submitted a complaint to the service provider on the spot and that the cause could not be removed on the spot. If through the fault of ATLANTIS the program or a part of the service was unfulfilled, the traveler has the right to compensation to the height of the real value of the unused service and this cannot include already used services as well as the entire amount of the arrangement. In case of last minute contracts OR contracts where the TRAVELLER finds out the accomodation title upon arrival at the destinaton (promotions like fortune, roulette, no name, ace, jocker...) the TRAVELLER will accept all inherent risks. Such journeys involve unpredictable conditions (Force Majeure) which ATLANTIS cannot control in any way. What is more, the traveller has opted for this kind of arrangement due to special price, therefore any responsibility for claims arising from this arrangement will be waived by ATLANTIS. Until ATLANTIS delivers a decision, the traveler shall abandon mediation of any other person, court establishments or providing information to the media. or to the Book of Appeal that is exhibited at the office. The response to the written complaint of the consumer will be given in writing no later than 15 days from the date of receipt of the complaint, so please leave us your contact address for delivery of the response.